The FreeBSD Foundation has once again made it easy for us to setup FreeBSD. 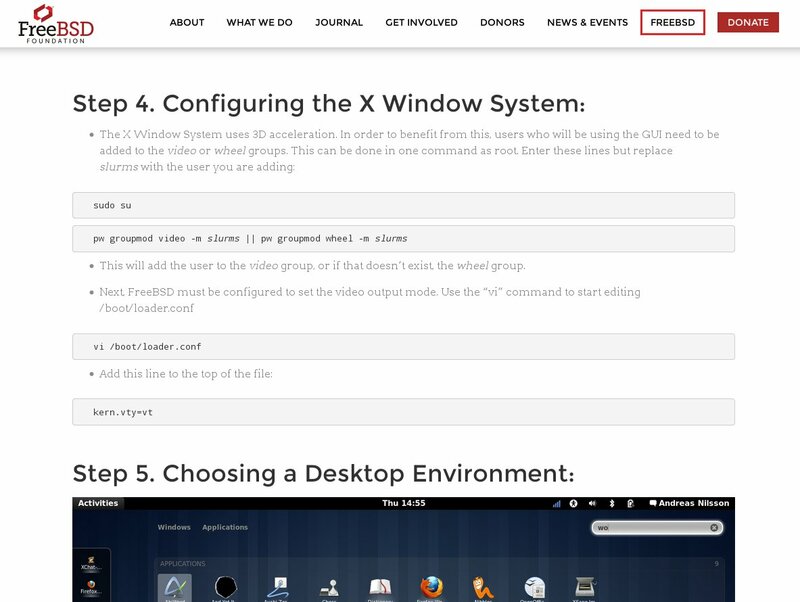 This tutorial shows you how to configure the various desktop environments, starting from X Window System, to the environment of your choice. Follow the link below for the entire instructions.